Per Strömberg studies venture capital and entrepreneurial finance, costs of bankruptcy and financial distress, and corporate finance and governance. Strömberg is the SSE Centennial Professor of Finance and Private Equity at the Stockholm School of Economics. He is a research affiliate of the Center for Economic Policy Research (CEPR), a research fellow of the European Corporate Governance Institute (ECGI), and a member of the Royal Swedish Academy of Sciences and the Royal Swedish Academy of Engineering Sciences. IN addition, he currently chairs the prize committee for the Sveriges Riksbank Prize in Economic Sciences in Memory of Alfred Nobel. 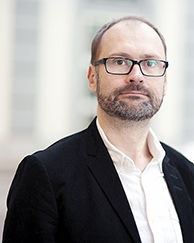 Strömberg's research has been acknowledged by the 2001, 2009, and 2014 Brattle Group Prizes for best corporate finance paper published in the Journal of Finance, the 2004 NASDAQ award for best paper on capital formation at the Western Finance Association meetings, the 2006 Researcher of the Year award at the Stockholm School of Economics, the JFI Stuart Greenbaum Prize for the most significant paper published in the Journal of Financial Intermediation in 2007, and the ECGI Standard Life Annual Finance Prize for best corporate governance paper in 2013. In 2011 he was awarded the Assar Lindbeck Medal, given bi-annually to an economist active in Sweden below the age of 45. Strömberg’s teaching has been acknowledged with best teaching awards in the University of Chicago Booth European and/or Asian executive MBA programs in 2004, 2005, 2006, 2013, 2014, 2015 and 2016, and the teacher of the year award at the Stockholm School of Economics in 2013. Apart from his academic appointments, Dr. Strömberg is a board member of the Sixth AP Fund, a public pension fund focused on private equity investments. Corporate finance and governance; venture capital and entrepreneurial finance; private equity and leverage buyouts; costs of bankruptcy and financial distress. "Conflicts of Interest and Market Illiquidity in Bankruptcy Auctions: Theory and Tests," Journal of Finance (2000). With S. Kaplan, "Financial Contracting Theory Meets the Real World: An Empirical Analysis of Venture Capital Contracts," Review of Economic Studies (2003). With S. Kaplan and B. Sensoy, "Should investors bet on the jockey or the horse? Evidence from the evolution of firms from early business plans to public companies," Journal of Finance (2010). With U. Axelson and M. Weisbach, "Why are buyouts levered? The financial structure of private equity funds," Journal of Finance (2010). With J. Lerner and M. Sorensen, "Private equity and long-run investment: The case of innovation," Journal of Finance (forthcoming). We analyze venture capital (VC) investments in twenty-three non-U.S. countries and compare them to VC investments in the U.S. We describe how the contracts allocate cash flow, board, liquidation, and other control rights. In univariate analyses, contracts differ across legal regimes. At the same time, however, more experienced VCs implement U.S.-style contracts regardless of legal regime. In most specifications, legal regime becomes insignificant controlling for VC sophistication. VCs who use U. We describe and present time series evidence on the leveraged buyout / private equity industry, both firms and transactions. We discuss the existing empirical evidence on the economics of the firms and transactions. We consider similarities and differences between the recent private equity wave and the wave of the 1980s. Finally, we speculate on what the evidence implies for the future of private equity. We describe and present time series evidence on the leveraged buyout/private equity industry, both firms and transactions. We discuss the existing empirical evidence on the economics of the firms and transactions. We consider similarities and differences between the recent private equity wave and the wave of the 1980s. Finally, we speculate on what the evidence implies for the future of private equity. New: How Well do Venture Capital Databases Reflect Actual Investments?